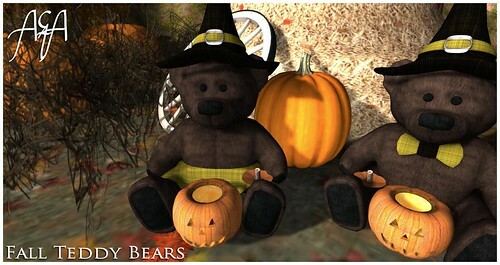 ::A&A:: Fall Teddy Bears, a photo by ::A&A:: Life is your creativity! on Flickr. Ring in the holiday festivities with these cuddly, heart warming teddy bears. All dressed up and ready to celebrate all the fun with you!